Our most popular filter just got smaller and lighter. 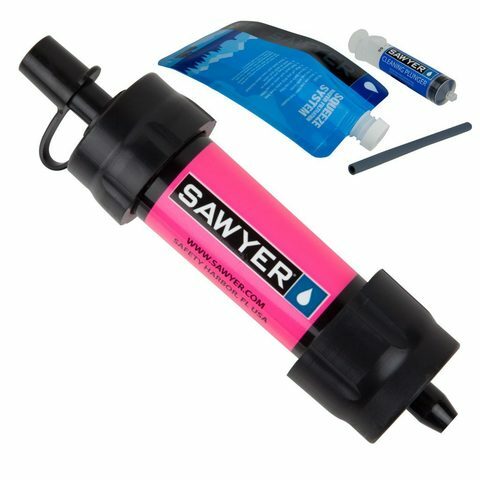 The Sawyer MINI Water Filter is rated to 0.1 micron absolute, weighs only 2 ounces, and filters up to 100,000 gallons! This award winning system is reliable and easy to use. 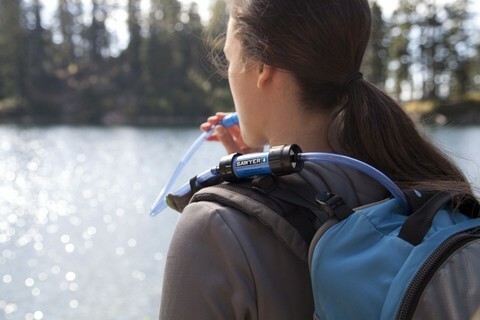 The MINI can be attached to the included collapsible drinking pouch, inline on a hydration pack, on a standard soda bottle, or simply use the included drinking straw to drink directly from the water source. How is that for versatility? Like all Sawyer filters, a proper back washing can restore up to 98.5% of the filter’s flow rate. That means no expensive cartridges to replace, ever.